The recent Supreme Court decision in Shelby County v. Holder, invalidating the "pre-clearance" formula of the voting Rights Act – which required states with a history of race discrimination in voting to secure federal approval prior to changing election practices – provides an opportunity for Congress to strengthen protection of minority voting rights. While discriminatory methods today are far from the lynch mobs and grandfather clauses that stopped blacks from voting during Jim Crow, the end result of voter suppression and dilution remains largely the same. Congress should act quickly and decisively on this core American principle in order to ensure minority participation in the democratic process. Ernest Montgomery knows all too well the value of federal supervision in protecting minority voting rights. Prior to elections in 2008, the City of Calera, in Shelby County, Ala., redrew jurisdictional boundaries. This process eliminated the City Council’s only majority-black district by adding several white subdivisions adjacent to Calera while refusing to incorporate a black area located nearby. The lone majority-black district was reduced from 70 to 30 percent black, resulting in the election loss of Montgomery, the only black city council member. The justice Department would not approve the redistricting plan and, after extensive negotiations, Calera adopted a more inclusive at-large election system, one that prevented whites from controlling 100 percent of the sic positions on the city council and that resulted in Montgomery receiving the most votes of all council candidates. The Section 4 "pre-clearance" formula on validated in the recent Shelby County decision is the same provision relied upon but the Justice Department to protect Montgomery from discriminatory treatment. Section 4 mandates that 15 states, including Alabama, or portions thereof, with a history of discriminatory voting laws get prior approval but the Department of Justice or a federal court for any changes to their election practices. In striking down Section 4, which has been overwhelmingly reauthorized by Congress for another 25 years in 2006, Chief justice Roberts, indicated that the formula mist be "justified by current needs." Certainly much progress has been made since 1965 when the VRA was passed. Yet today, racially-polarized voting patterns, the practice of reducing minority participation for partisan advantage in many parts of the nation, with blatant racism in others, suggest a continued need for an updated pre-clearance formula. In 2011, the justice Department stopped a Texas redistricting proposal determined by a federal court to purposefully discriminate against Latino voters. Last year, the Justice Department nixed a photo identification law in Texas. At the time, some 600,000 Texans who had voted in previous elections, many of whom were black and Latino, would have become ineligible to vote without additional identification. In each instance, Section 4 was used to prohibit discrimination. Immediately after the Supreme Court invalidated the "pre-clearance" provision this summer Texas and several other states reinstated the voter identification laws previously prevented under Section 4, and other local jurisdictions promised to revisit prior invalidated practices. Despite the problematic ruling, the Supreme Court left open the possibility that Congress could fix the formula. Congress should update it expeditiously. In doing so, legislators must understand that racism did not end in 1965 and that coverage based solely on geography would be outdated, as discriminatory acts occur throughout the country. With evidence of such serious and widespread suppression and dilution, an expanded and refocused formula is clearly "justified by current needs." Circumstances may have changed, but voter suppression, based on race, remains. 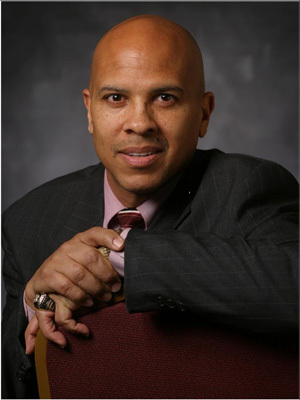 F. Michael Higginbotham is a professor of law at the University of Baltimore and the author of Ghosts of Jim Crow: Ending Racism in Post-racial America. I'm not saying that racist and discriminatory practices have been eliminated in this country. Far from it. However, I see several problems in labeling the political practices by the states mentioned in this article as "racist." Redistricting and "gerrymandering" has existed in this country for a very very long time, before African-Americans and others were given political equality. Granted, in the Jim Crow South, this practice was actively used to disenfranchise and exploit blacks. And I can see how this argument could be used in Montgomery's case. However, it could also be used as a political (and purely political) tool to gain advantage for a particular party. It's used all of the time. Montgomery may have gotten ousted not because he was black but because he was a part of the political party not in "power" at the time. In the case of the voter photo identification controversy, I am actually in support of it. I remember not that long ago Pennsylvania tried to pass a similar act; it's not that this supposed discrimination only occurs in Southern states or states that have a history of political oppression of minority groups. These states are trying to protect voting privileges how they see fit. It's not as if the driving motivation behind the photo identification is to disenfranchise a ethnic group. All races- white, black, Latino, Asian- are subject to the act. So, I can understand us, even in this day and age, having to be afraid of the ghosts of Jim Crow. But I think in this case we're jumping at shadows. Do we think this is just our generations version of Jim Crow Laws? Watered-down and swept under the rug so they are not as obvious as the atrocities of the past. Will we look back on this time a realize just how racist our legal system really was. This happening today and kept from the public eye is a clear display that the realization of racism is wrong is but its perpetuation shows it still happens. It is looked down upon by society but we can pick it out as still existing in the very structures of our country. The majority may be against racist tendencies but would they be against them to the point where one would stand up and do something about it? How can the legal system say that these district formulas apply to the standards of today when what they really do is act for people in power. These district lines do more than portion voting districts they create divides in peoples to gain power for the majority. They divide us as a people they don't divide us to vote.